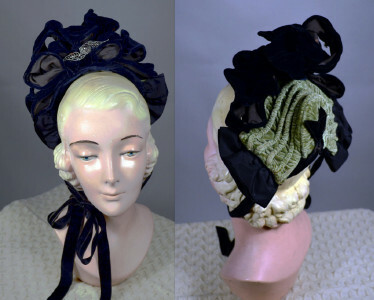 1880's vintage Victorian era two tone bonnet. Black and moss green velvet. Green shirred piping at crown with black bow at center. Layered black silk ribbon ruffles at front left & right. Large wired black velvet bow with cut steel wing style pin. Black velvet ties. Black silk broadcloth lining (possible re-line). A Victorian classic! Crown depth - 3 1/2"
Total width from side to side - 9"
Total length from top to bottom - 8"
Inner crown width - 6 1/4"
Inner crown length - 5 1/2"
Very good condition. 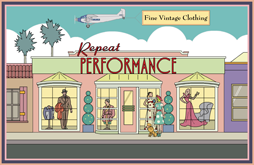 Shows modest general wear & nap wear throughout. Tarnish at pin. Not perfect, but issues consistent with age.